Both formal and informal leaders are often required to participate in and guide team-oriented projects to successful outcomes. 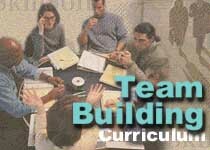 The Team Building Curriculum teaches skills and strategies related to recruiting, empowering and facilitating effective team performance. Click on the series below to obtain descriptions.